I thought about calling this post, "If only the rest of life my was as sensational as my shoe closet," but thought, nah, too long. But you get the picture. Yesterday I shared my early attempt at shoe organization. 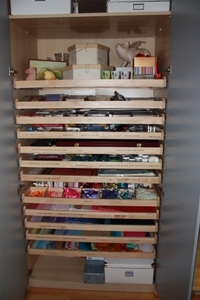 After trying the wobbly over-the-door rack, the floor rack, and the hanging canvas rack, I was ready for a permanent solution, which presented itself to me when I was doing my great IKEA closet overhaul a few years ago. 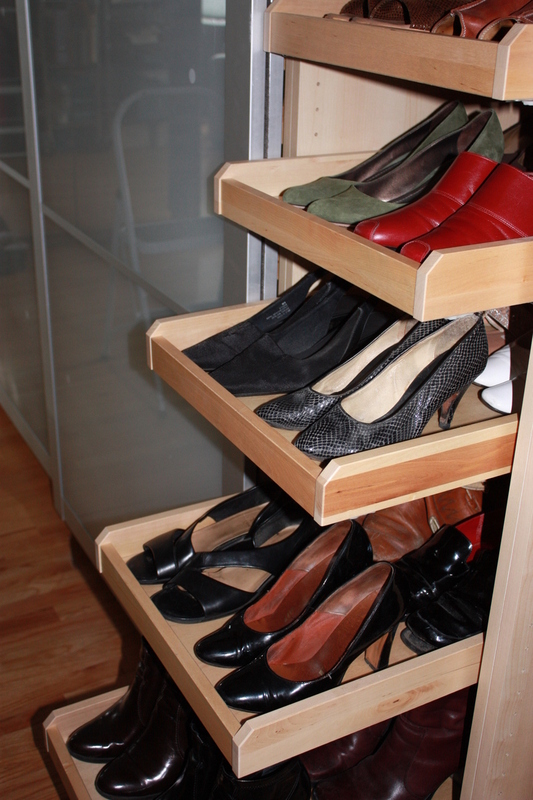 Along with double-hung rods, built-in hampers, and accessory cubbies, at the top of my list was shoe organization. For those of you new to the Quest, a few years ago I tore out all my closets and replaced them with PAX units from IKEA. 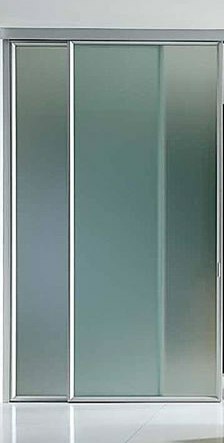 At the time, a unit that was 19-5/8" wide x 22-7/8" deep x 93" high cost $64, while a unit that ran 39-3/8" wide was $72. For my shoe closet, I chose a 19-5/8" unit. 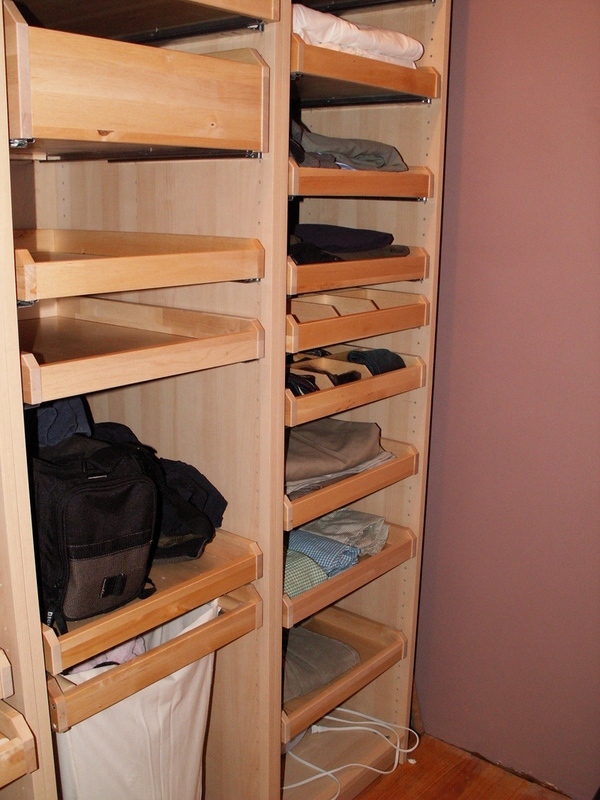 I then outfitted it with a total of nine shallow pull-out drawers, at $20 a pop. 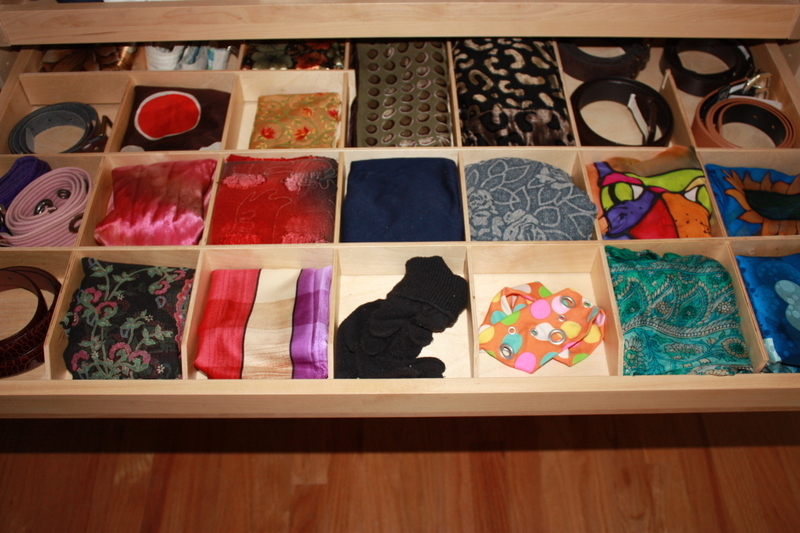 You can actually fit a pull-out drawer every 3-3/4" or so, but I chose to space the lower two drawers 12" apart, to accommodate boots. 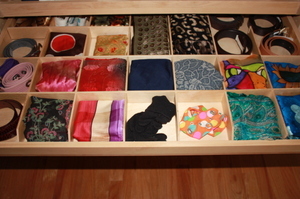 The next several drawers are 7" apart, which is high enough to store high-heeled pumps. 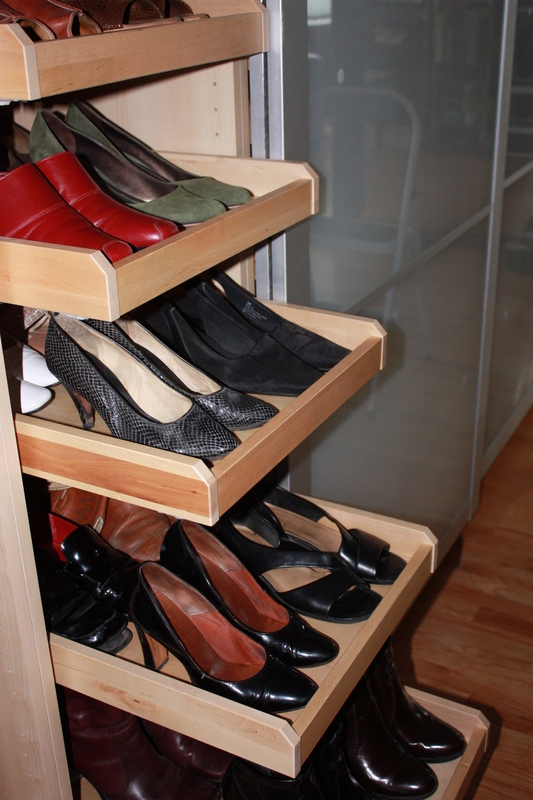 The top shelves are the minimum 3-3/4" apart, for storing lower-heeled shoes, sandals, flip-flops, and the like. 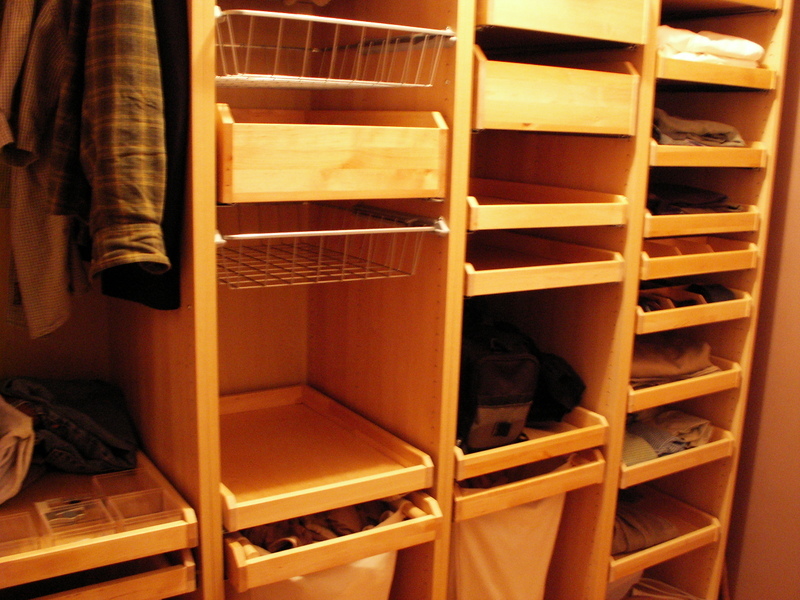 Each drawer holds four pairs of shoes or boots: two each in two rows, for a total of 36 pairs in the closet. I have perhaps 4 drawers scattered among the remaining 14 PAX units for special-occasion or off-season shoes. The 39-3/8" wide PAX units actually hold more than twice the 19-5/8" wide units; I can fit 10 per 39-3/8" wide pull-out shelf. Since installing the closet, I gave away a good 15-20 pairs of shoes and adhere to a strict one-pair-in/one-pair-out shoe acquistion policy. It's saved me from buying any number of adorable but completely unwearable pairs I might otherwise be tempted to buy, and the orderly array enables me to easily see, assess, and enjoy what I already own. I'm convinced Valentine's Day was invented to ward off mid-winter blahs and give people something to look forward to between the holiday season and St. Paddy's Day. Of course that's assuming St. Paddy came before St. Valentine, which I'm not exactly sure is the case. Nevermind. What I mean to say is that in spite of the freakishly good weather we're having here in Chicago, it's still February. The days are still short, the nights still long, and without so much as a moment's notice temperatures could drop, snow could fall, and there you'd be, shoveling your driveway. I thought we all could use a fun little series just now, and specifically saved this one for the express purpose of providing a little mid-winter lift. The subject: Shoe organizing. Because that's as good as it gets when it comes to organizing. 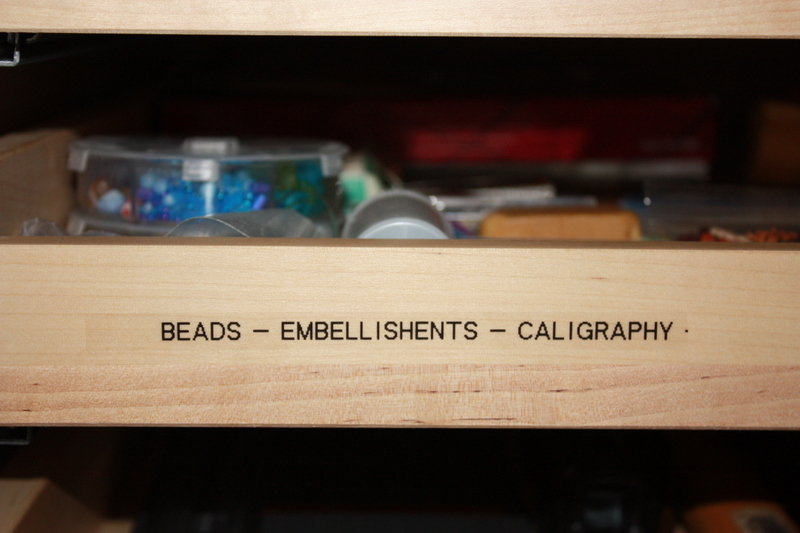 As it happens, I've had more than my share of shoe organizers: over-the-door wire racks, canvas shelves suspended from a rod in the closet, wooden floor racks. I've tried lining my shoes up in rows on the floor. In terms of alignment, I've tried the one-shoe-toe-first/one-shoe-heel-first approach, in addition to the more conventional toe-by-toe arrangement. I've tried returning my shoes to their rightful box. I've tried using little felt shoe bags. What else? 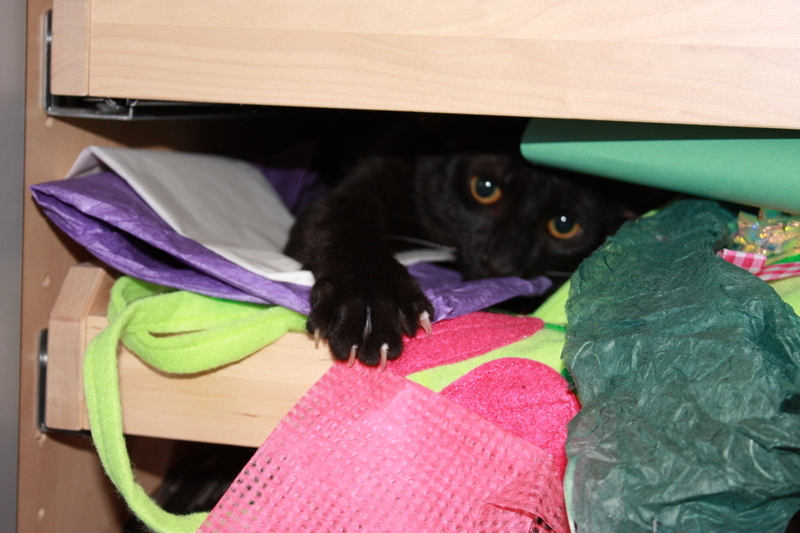 There was the fling with the stackable acrylic shoe drawers. There was the achingly beautiful--and painfully expensive--birch shoe box with front window so you could see the contents without lifting off the lid. Shoe trees. Boot trees. Baskets. Pull-out shelves. This is what happens when you don't have kids. You develop strange obsessions. So over the next few days, I thought I'd share some thoughts on what works and what doesn't in terms of organizing shoes. In the process, I'll review the pros and cons of several organizing methods/ products and include price and sourcing information, as well as discuss storage specifics and ways to customize options to get your closet shoe-sensational. A Quester In Need . . .
We've all heard the saying, "a friend in need." Well, Marie is a Quester in need. She's also my friend; she's a person who has a finely tuned appreciation for red velvet cake, she can make anyone laugh, and she did not hold it against me when I didn't return her cherished square paper punch for months on end, a favor of patience I returned when her nine year old daughter, Kristina, attempted to groom my elderly cat with a hand vac. In other words, friends indeed. 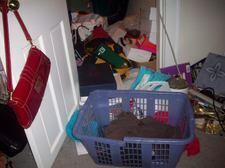 She seemed to be under the impression this was The Worse Mess Ever; I disagreed, having seen much, much worse messes in my own home, but now's not the time to get all competitive. Marie needs solutions. I promised to help scare some up. 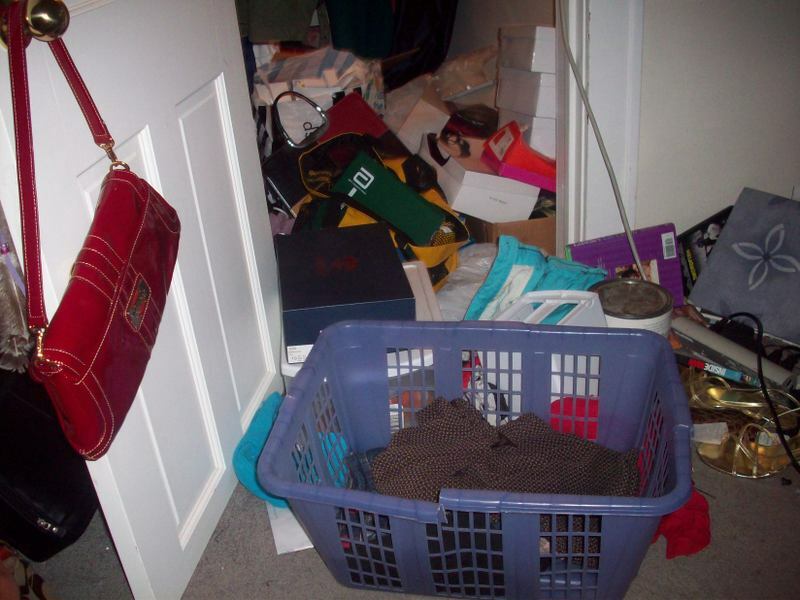 Take the advice of Regina Leeds, professional organizer and author of the New York Times best-seller, One Year to an Organized Life: clear only one section of a closet or other large space at a time. This prevents creating even more mess and also works as a motivator. 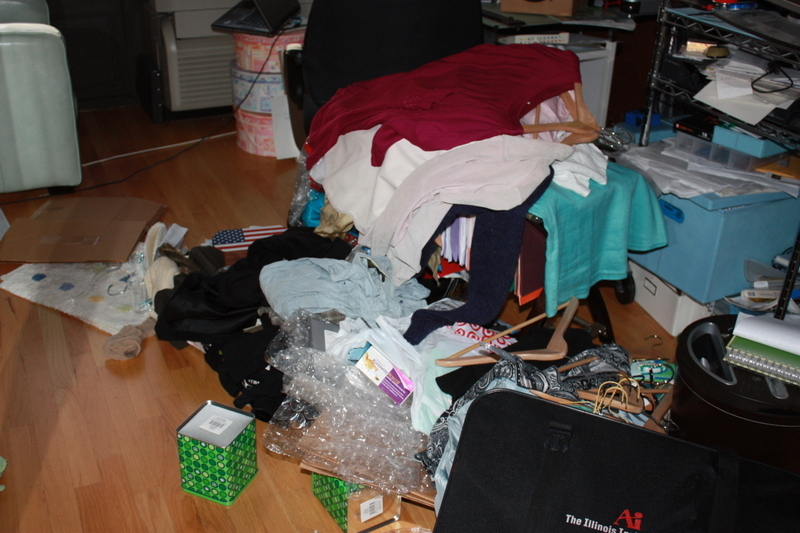 Lastly, as you clear and organize a space at a time, you are actually creating space to store more things. Tidy takes less room. Get rid of what you can. Easier said than done, believe me, I know. 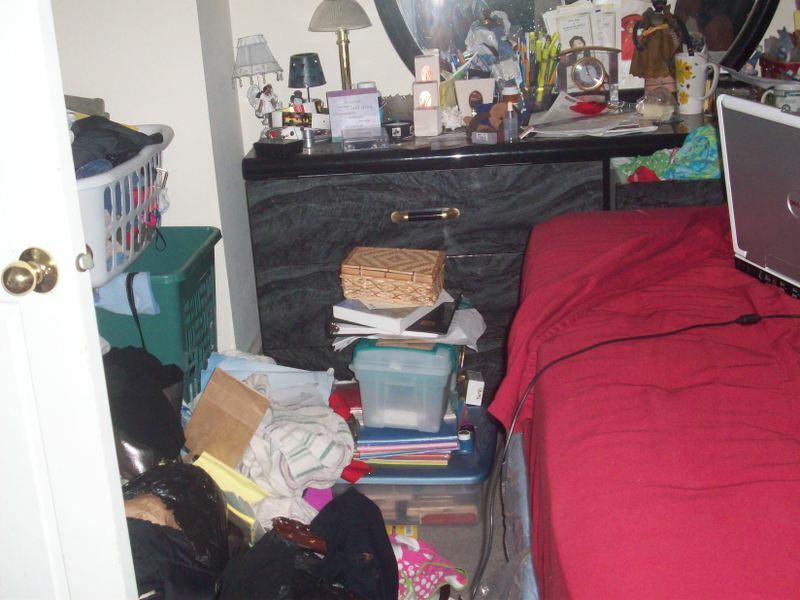 Some things are easier to get rid of than others, and so to get your declutter momentum going, start with what you find easy to toss. My personal list includes duplicates of things you only need one of; clothing that is irrevocably stained or cannot be mended; things that are broken and can't be fixed or that would cost more to fix than to replace; things that hold bad memories; things that I never liked, regretted buying, or never really worked. Next, group like items together: linens with linens, make-up with make-up, accessories with accessories, clothes with clothes, craft supplies with craft supplies. Use a general-to-specific approach: once you group all your accessories together, separate them out by type--bags, shoes, umbrellas, etc. 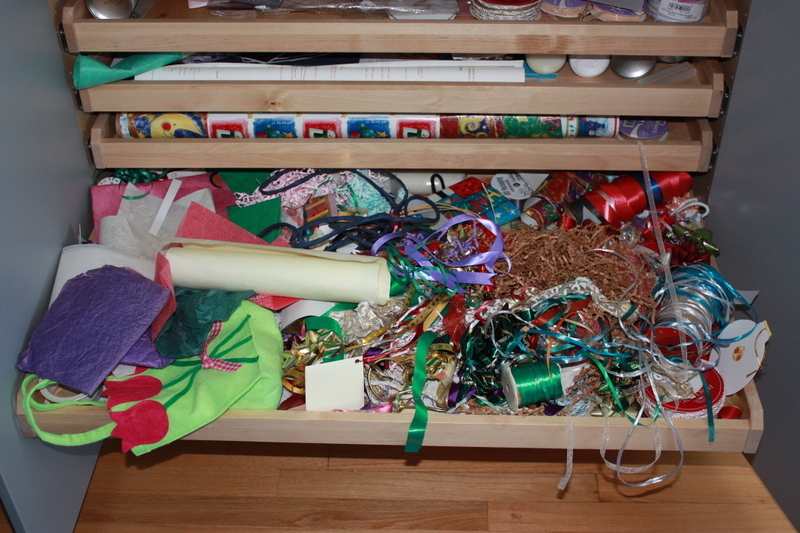 Same with craft supplies. Once you have them corralled togther, further separate by craft or by type. 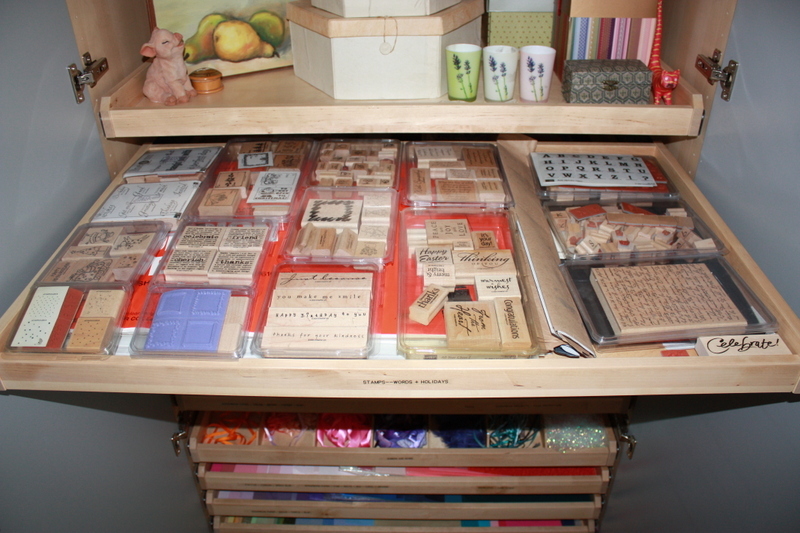 As I happen to know Marie is an inveterate card maker, that means grouping together stamps, ink pads, paper, punches, adhesives, eyelets and beads, ect., as I did when I organized the craft closet. Specialized containers and customized spaces are great fun, no doubt. 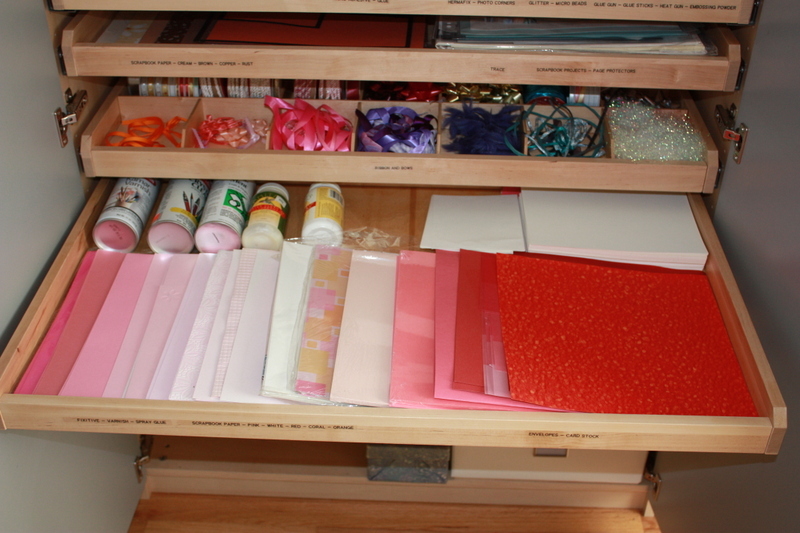 But you don't need to spend a lot of money to get organized. 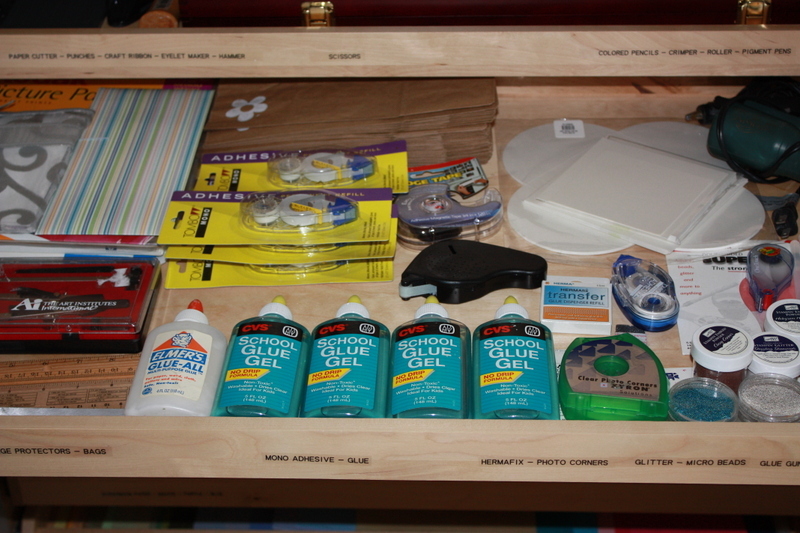 Start with what you have: in Marie's case, she has a lot of great containers she can use. As she de-clutters, groups, and tidies, she will probably be able to store more in the containers she has. You can also take a look around your house and see what containers you have already have that are being under-utilized or can otherwise be re-purposed. I love the gift basket I got a couple years ago from my sister; when I was organzing the kitchen stuff a while back, I realized it was the perfect size for coralling the cat food supplies, including paper plates and treats. Likewise, the wooden gift box that smoked salmon came in is perfect for storing my watercolors, and pastel-colored pots make pretty containers for my bath supplies. Pretty wastepaper baskets can display rolled towels in the bathroom; galvanized buckets make for a decorative garden tool catch-all. Almost anything that is hollow can be used for storage. 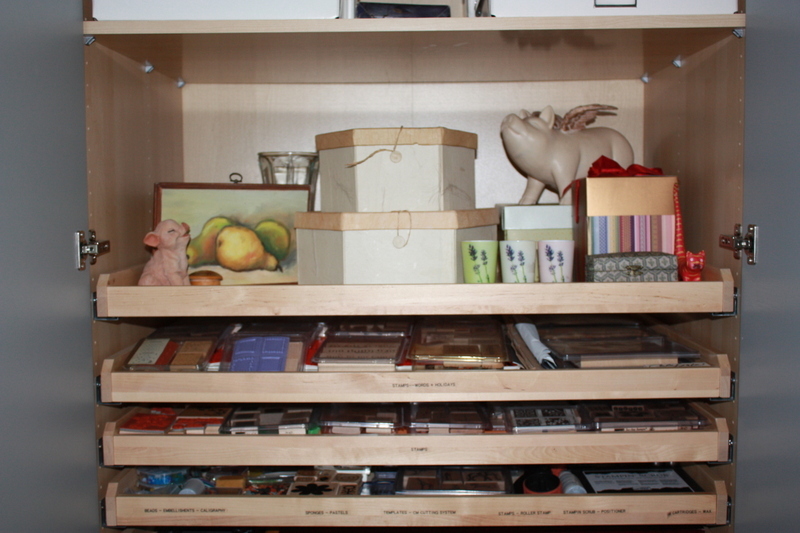 Given this, you can imagine how much can be stored with the addition of four or five shelves. 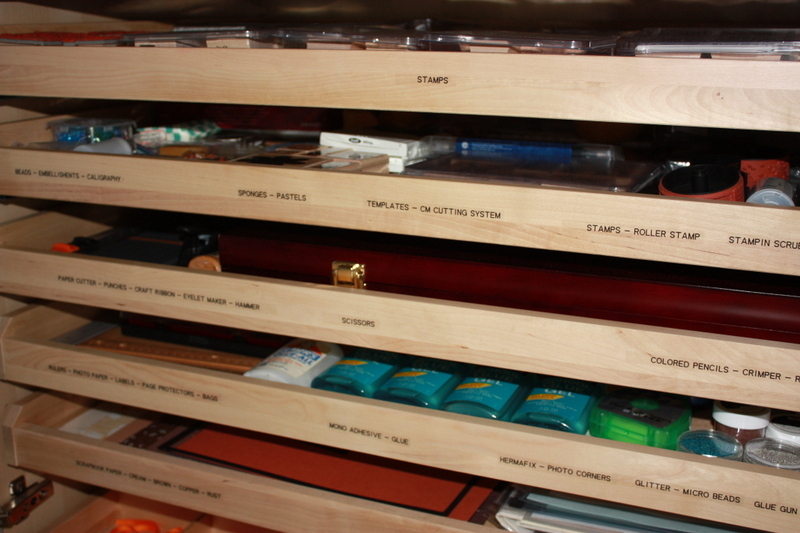 Save the prime, easy-to-access spaces--whether front-of-the-closet areas, the most convenient file drawers, or your favorite cabinets in the kitchen--for the things you use the most. 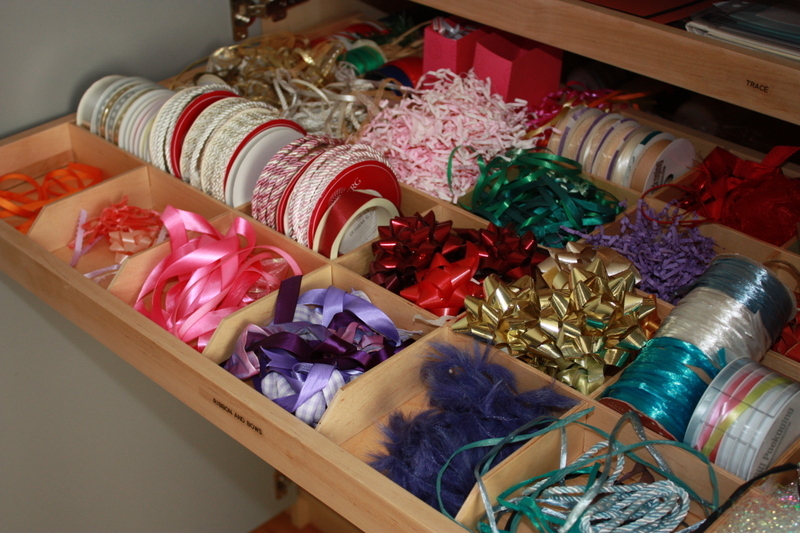 Out of the way spaces are great for storing once-a-year holiday accessories and supplies, and for other things that you don't use all that often. 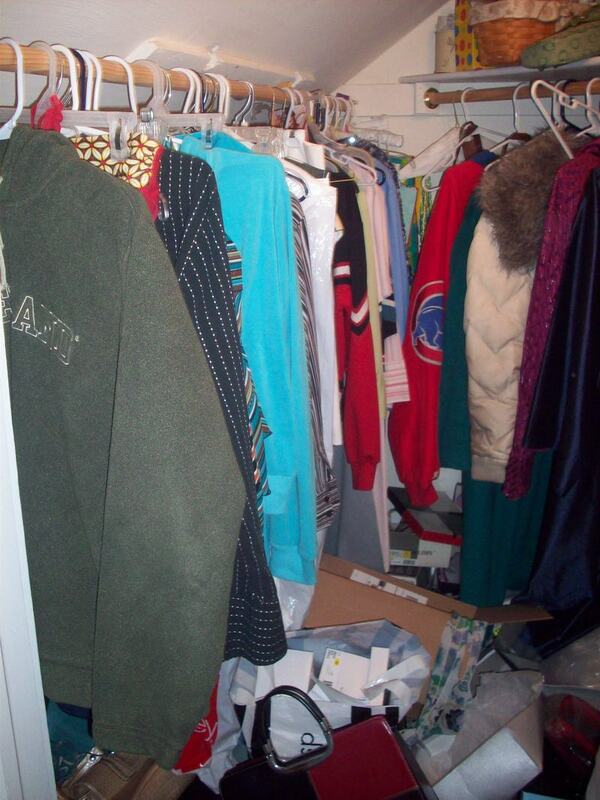 In Marie's case, she has lots of great space that isn't being utilized above the clothing rod in her closet--prime space to store occasional-use items. One of the things that helps me the most is when I can get myself into the place where tackling a project is actually kind of fun. It's almost ike a treasure hunt: you never know what you'll find. I often find things I thought I'd lost (wedding ring, anyone? ); it's also fun to re-discover things you've completely forgotten about. And in these days of hardship for so many, going through one's things is an opportunity to count the blessings of your life, and enables you to share your bounty by giving to others what you no longer need. 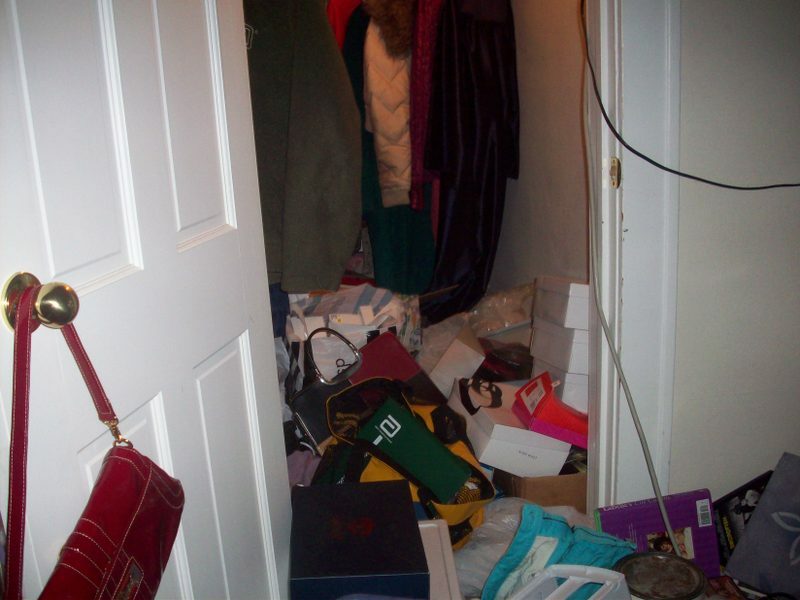 As I mentioned in Sunday's post, even well-designed closets can fall into disorder after a time. Like all closets, things seem to find their way to the floor. 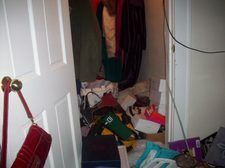 The other day I decided to do something about it: I took out everything that wasn't hanging in the double-hung closet I use for my shirts, jackets, and skirts; some organizers recommend that you take everything out of a closet you're organizing--including everything that's hanging--but that's just too much chaos for my taste. 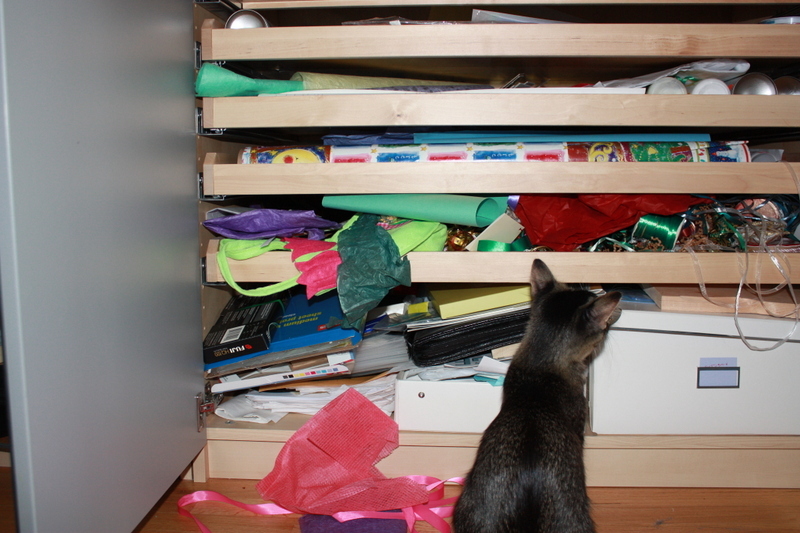 Just taking out all the stuff hidden in the back or stuffed into the corner was chaos enough (see above right). And yet: it only took an hour to organize everything and find homes for the various odd items. 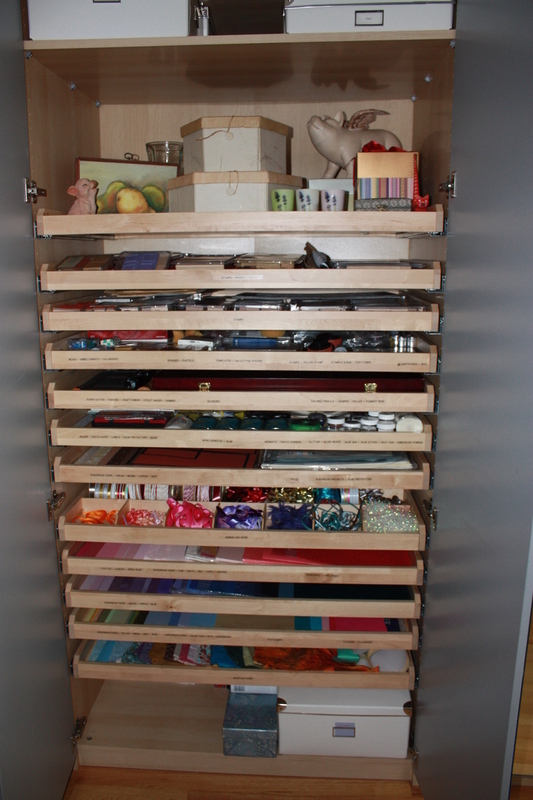 Before, when I had my old single-rod closet, everything was squished so tight that it would take hours to organize and even then, everything was perpetually wrinkled from being so overstuffed. These days, I try to maintain a strict, item-in-item out policy, as even plentiful closet space can become unpleasantly packed without regular culling. As for my general organizing strategy, I pretty much keep it simple: I like to organize my clothes light-to-dark by color family. I know a lot of people like to separate their clothes according to function, i.e. work clothes, evening clothes, weekend clothes, etc., but since I work in an business casual environment and because my evenings are spent pretty much the same way as my weekends, I don't see the point in separating my clothes in this way. 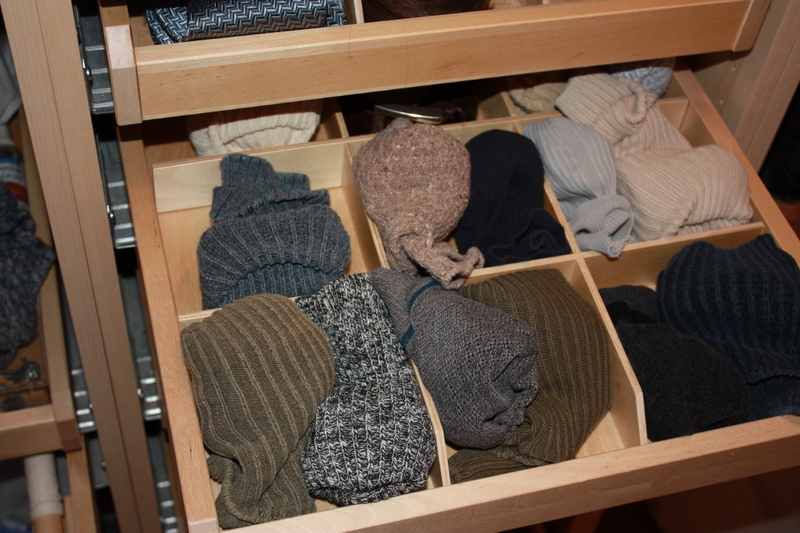 I'm also not much of a fan of separating out and packing away off-season clothes; I don't have the room to separately store off-season stuff, and it doesn't particularly bother me to see a sweater in July or a sleeveless shirt in January. *Note: this post has been edited to correct the original, which erroneously attributed the take-everything-out-of-the-closet approach as being advocated by professional organizer and best-selling author Regina Leeds. The cost of a PAX/Komplement system certainly can't beat that of the landlord or developer special, which is to say, a shelf above a rod; in my experience, that's always been free. 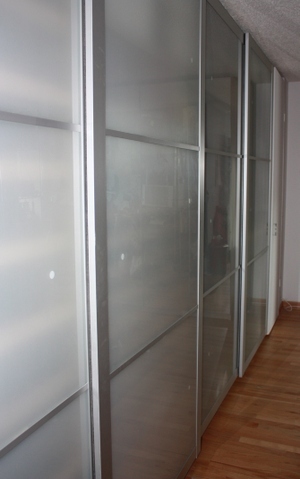 Compared to other closet systems, however, it's a virtual steal. When we moved to our place, I knew I wanted to install a customized system and got to work at researching our options. 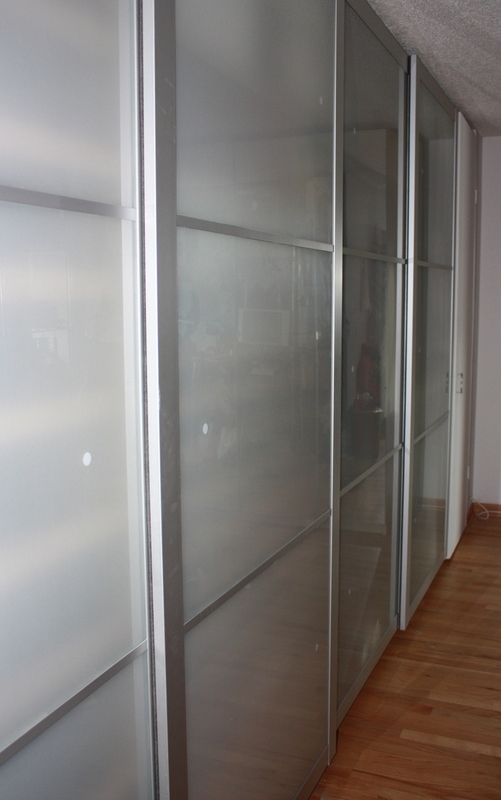 I decided on Italian frosted glass doors, right, and got a couple quotes--one from a famous closet company, another from a local woodworker--for the interiors. 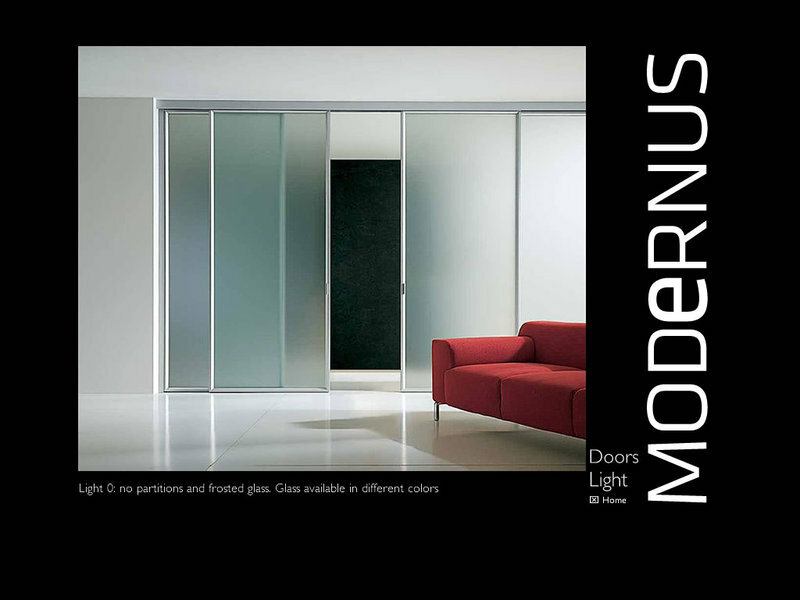 The quote for the doors was $7,000; it would be another $7,000 or so for the interior fittings, as long as I was willing to go simple and dial-down my expectations quite a bit. This was for one, 17-foot long closet, the closet in my study. I was crushed. And then, quite out of the blue, I went to IKE A. I did not go to IKEA for a closet; I went to get a bath mat, if memory serves. And there, on the way to the bath mats, was a dead-ringer (below) for my customized Italian doors. Only they cost $320.00, instead of $7,000. Actually, I would need two sets of doors to fit the space I had. So the savings was only $6,360. I added up the cost of the frames--at the time $64 for the narrow width and $72 for the double-wide--and I realized I wouldn't have to scimp on the number of drawers (about $24 or $16 depending on the width of the frame) or pull-out shelves ($24 or $20) I wanted. In fact, I didn't have to stop at my closet. I could knock out every closet in the place--mine, the master, the front hall closet--and install an additional free-standing 8-foot closet to boot--for less than the quote on those Italian doors alone. In all, we spent less than $5,000, including tax, delivery, and installation. And hangers! What more could you ask for? It's Closet Week On The Quest! 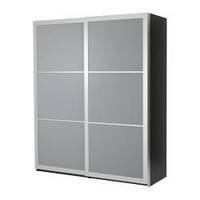 Several people have asked why I haven't yet written about closets, a very good question that has a very good answer: ever since I tore out my closets a few years ago and replaced them with PAX units with Komplement interior fittings from IKEA, I really don't have any closet issues. For those of you who've never heard of the PAX/Komplement system, get ready for some serious closet envy. 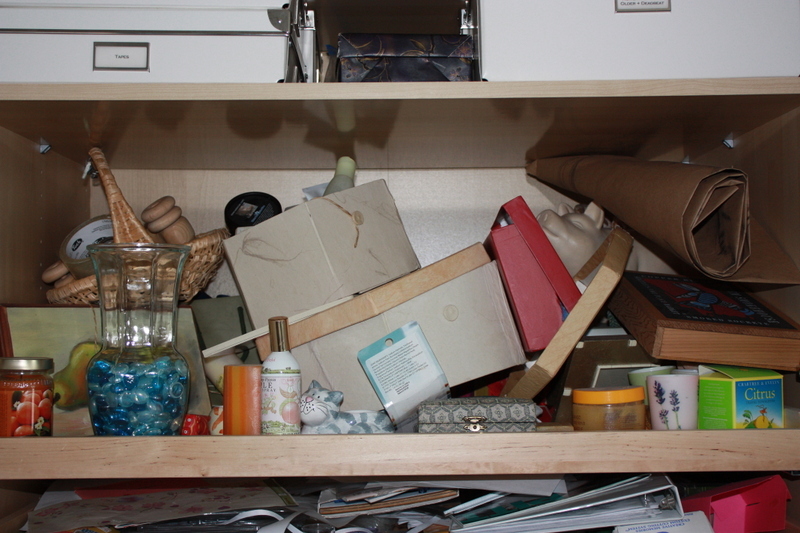 And yet: even a nicely-designed closet gets untidy every now and then; after a few years, entrophy will have its way. 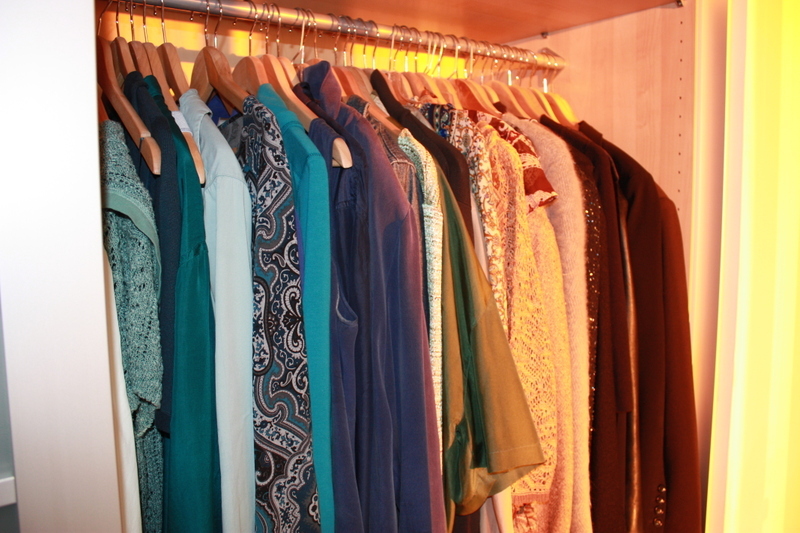 So I hereby declare this week Closet Week on the Quest. 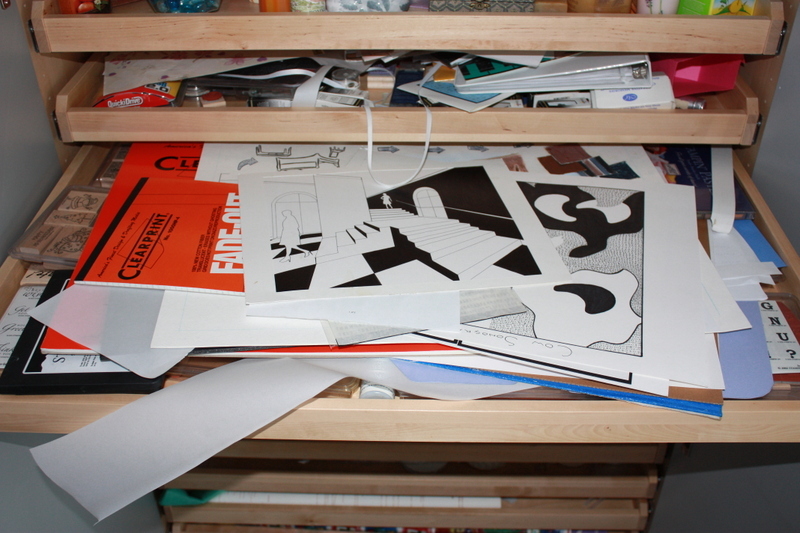 I'm re-organizing the flat files where I store my art supplies, and sprucing up the main clothes closet I use. I'll post some more pictures, discuss strategy in depth, and go over what's worked and what's needed to be re-worked. In the process, we'll look at cost, clearances, and things to keep in mind should you decide to take the plunge and design a closet of your own. Because come on, how can you resist a shoe closet like this?